A new online tool based on reliable and accurate in silico approaches to replace experimental studies. Create a new iSafeRat® account for free today, to start benefiting from all our High Accuracy QSAR services. Discover all the features of iSafeRat® Online on a selected list of substances. See how this tool works and download the final prediction summary and regulatory reports for free. No registration required. iSafeRat® Online provides reliable and accurate in silico approaches to replace experimental OECD Guideline studies (physicochemical, ecotoxicological, toxicological), with endpoint values equal to (or better than) those obtained by the best available experimental techniques for a fraction of the time and price of a laboratory study. To support (eco)toxicity predictions, we also implemented Mechanisms of Action (MechoAs) prediction in this tool. 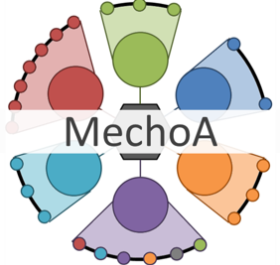 MechoA prediction can be accessed for free. When requested each endpoint value can be supported by all the documentation necessary to demonstrate validity following OECD and ECHA recommendations.